A liveaboard is the best way to pack dives into your vacation and make the most of your time underwater. With 3 to 5 tanks per day, you’ll have a better chance for encounters with big fish and plenty of opportunities for photography. And, if you have the experience, you can add adventures like wreck diving, fast-paced drifts and super-deep sites to the mix. Check out our best liveaboard destinations for advanced divers for the first step in planning your trip. No matter what your level of experience, you should always dive within your limits. 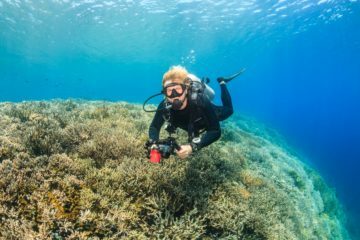 While all these destinations are best for experienced divers, some are more challenging than others. Consider both your certification level and comfort in the water when booking. And, remember that the best way to gain experience is to dive more. 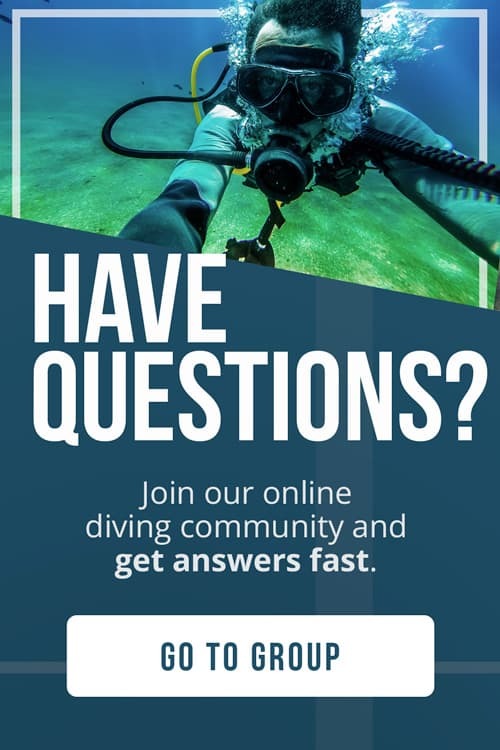 Extra training or practice dives are a good idea if you are unsure. Komodo National Park is one of the best-known places to dive in Southeast Asia, and for a good reason. Above water, the park is famous for stunning island landscapes and resident dragons. Below, pinnacles and outcroppings make for thrilling dives alongside plenty of big fish. The park’s best sites are only accessible via liveaboard, perfect for uncrowded dives and plenty of wildlife. Manta rays are one of the region’s main attractions, with excellent chances for encounters throughout the park. The rays are easiest to spot while they feed on plankton in blue water and relax at the cleaning stations. These underwater spa sessions also attract whale sharks, sunfish, and a variety of large pelagics. If you’re looking to go deeper, Komodo has awesome wall diving. White tip, black tip and gray reef sharks patrol these dropoffs at depth. Meanwhile, massive schools of game fish circle out in the blue. A closer look along the wall will reveal a variety of macro life, though you may find it difficult to photograph small animals in the current. Komodo is known for challenging dive conditions, with strong and unpredictable currents. 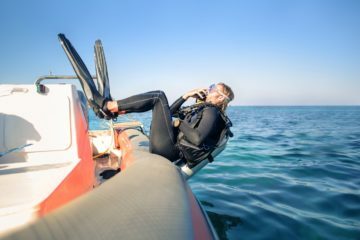 Even the most experienced divers should use caution and follow best practices at all times. Itineraries combine with other sites around Bali, so plan to dive a variety of environments including muck, reef, and open ocean. If you’re looking for adventure, plan a liveaboard dive trip to Cocos or Malpelo. These rugged Pacific islands are home to incredible biomass with massive shoals of baitfish, more sharks than you can count, and plenty of other large pelagics passing through. It takes over 30 hours to reach these sites, so an extended itinerary is best. Ultra-remote Cocos is famous for big fish and powerful currents. Schooling sharks are the area’s number one attraction, especially scalloped hammerheads. The local cleaning stations also attract manta rays, reef sharks, and whale sharks. Whales congregate here too, mating and calving in these waters during fall months. Malpelo has just as many sharks as Cocos but is better known for massive shivers of silkies. Galapagos sharks school here too, gathering by the hundreds out in the blue. Closer to dusk, white tips on the prowl create a frenzy of activity on the reef. If you are planning to dive Malpelo, choose your operator wisely. And, consider investing in a point to point marine radio or GPS. Underwater photographers should plan to shoot in wide angle while diving in these pelagic hotspots. There isn’t much macro in this region, and the powerful currents don’t let you hold still for long. Bring plenty of batteries and backup camera supplies. These remote islands have no shops or tourist services. The Red Sea is one of scuba diving’s most diverse regions, and its best attractions are only for advanced divers. Wrecks, caves and caverns, big sharks and remote dive sites make Egypt a hotspot for thrill seekers and tech enthusiasts. Liveaboard diving in this region is also some of the world’s most affordable, making it perfect for an extended trip. The Brothers Islands, Elphinstone, St. John’s, and the southernmost stretches of this region are best for diving with sharks and other large species like dolphins and whale sharks. These less visited sites take a bit longer to get to but are well worth the trip. Oceanic whitetips and hammerheads are frequently seen in open water, sometimes even on the surface. If wrecks are your focus, the SS Thistlegorm is a must see. This well-preserved WWII ship is famous for its visible cargo of tanks, trucks, and motorcycles. The Salem Express is another wreck highlight with a dark past. This passenger ferry sunk in 1991, claiming over 400 victims. Their belongings still litter the ship’s deck, lending a spooky feel. Both of these sites are worth multiple dives, with opportunities for penetration and photography. Dahab has always been a mecca for tech divers, with caves and caverns galore. If you’re more interested in deep diving, there’s plenty to be found too. And of course, there’s the world famous Dahab Blue Hole. Dive boats in the region offer facilities for specialized tech equipment, gas blending, and courses onboard. The best part about liveaboard diving in the Phillippines is the variety of sites and underwater environments. Wrecks, sharks, macro, and more make these islands a top choice for divers of all levels. But, the real treasures of this region are best enjoyed by divers with plenty of experience. Malapascua is one of the best places on planet earth to swim alongside thresher sharks. These reliable cleaning stations are at depths of 100 feet (30 meters) or more, where the nocturnal sharks can enjoy the darker water. Early morning dives on the Monad Shoal offer a near guarantee of spotting the sharks lined up for their daily grooming. The Japanese military wrecks of Coron Bay are some of the world’s best preserved and most accessible. Whether you’re staying above the recreational dive depth or going tech, there’s plenty to see. The Irako is the region’s most famous wreck for penetration and a must-see in the area. Nearby, Tubbataha Reef National Park is well known for its biodiversity. Photographers should plan to shoot mostly macro, with finds like nudibranchs, frogfish, and pygmy seahorses. But, reef sharks, mantas, and whale sharks make occasional appearances. If the Galápagos Islands aren’t on your bucket list, you might not be a diver after all. Sharks, whales, penguins, sea lions, and marine iguanas are just a handful of the region’s highlights. 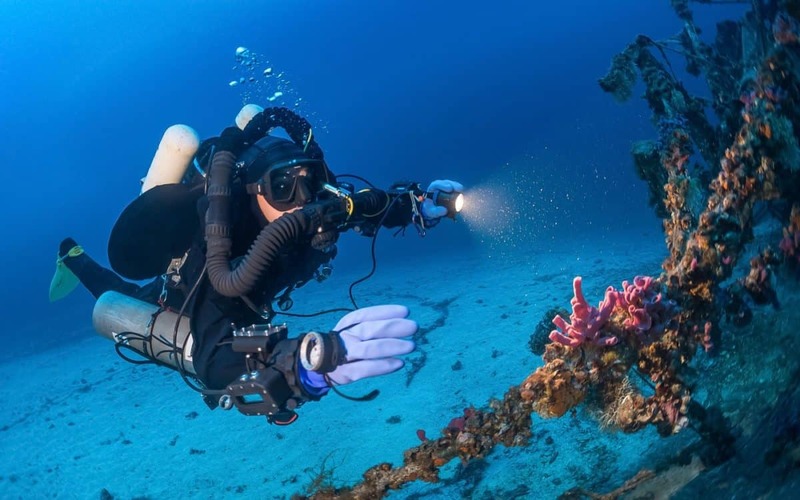 The best dive sites are only accessible via liveaboard, and strict park regulations ensure that they remain uncrowded. Open ocean sites like El Arco and Gordon Rocks are must-see spots in the area and offer your best chances to see with large schools of silky and hammerhead sharks. Galapagos sharks are also found at these sites, patrolling in deep water meters from the wall. Don’t forget to look up, as mantas and whale sharks feed in the shallows here. This region isn’t known for its coral, but there is still plenty to see on the reef. A colorful variety of tropical fish call these waters home. Sea lions and penguins hunt in shallow water, and make excellent photography subjects. Try bringing along a hand mirror to get the best possible shots of these outgoing animals. Both species love to look at their own reflections! While divers of all levels visit the Galápagos, the strong currents and unpredictable surface conditions in the park are best for those with experience. And, if you want to see some of the region’s coolest critters like the batfish, you’ll have to go deep. There is plenty to see below 100 feet (30 meters) too, with great shivers of sharks found at depth. Fiji is one of the most exciting places in the world to dive. This paradise of soft coral is a photo favorite, with an endless variety of colors and textures to capture on film. The region also boasts some best shark diving in the South Pacific, with hammerheads, bulls, and tigers. All Fiji liveaboards offer dry camera stations, separate rinse tanks, and charging facilities. Be sure to bring along plenty of extra batteries, spare parts, and desiccant packs, as shops and tourist facilities are limited. Plan to shoot both macro and wide angle. You’ll need perfect buoyancy when photographing the reef, so pack camera equipment that you are comfortable and familiar with. If your primary motivation for diving in Fiji is the sharks, be sure to choose an itinerary visiting the southern waters of Viti Levu. No feeding takes place in these waters, but you still have a good chance to swim alongside big sharks. Further offshore, seamounts are excellent for spotting hammerheads, manta rays, and other passing pelagics. For more information about Fiji’s famous sharks, check out the documentary film Of Shark and Man. Fiji is not a budget destination, but the diving is worth it. 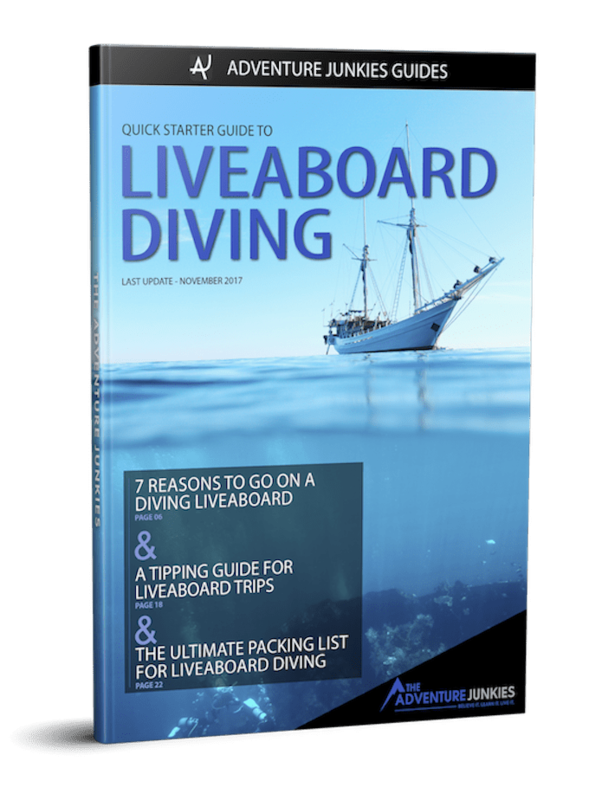 You should plan for at least 7 days in the water to make the most of your liveaboard. Conditions in Fiji are excellent, but strong currents can appear without notice. The more experienced you are underwater, the more you’ll enjoy diving in the region. Some of the richest marine biodiversity on planet earth is waiting for you in the Raja Ampat archipelago. These islands and the surrounding Banda Sea are a part of the Coral Triangle, and home to thousands of interesting species. Even the saltiest of divers rave about this region, and many go back year after year. Environments in Raja Ampat include wrecks, shallow reefs, caves and caverns, endless walls, and sandy bottoms. This variety makes for unique liveaboard diving, perfect for experienced divers of all kinds. Itineraries combine these islands with other top Indonesian sites nearby, for “best of” itineraries. WWII wreck enthusiasts can opt for routes that include Cenderawasih Bay. Only accessible via liveaboard, this area boasts 6 of Southeast Asia’s best-preserved shipwrecks without the tourist crowds. The bay also attracts feeding whale sharks, making for exciting snorkeling excursions. For more information, check out our liveaboard guide to diving with whale sharks. Photographers will find photo subjects of all shapes and sizes in the area, so pack the full arsenal. High-speed drift dives along walls and past cleaning stations are excellent for surprise encounters with massive shoals of fish, manta rays, and whale sharks. Voyages that combine with sites like Lembeh and Ambon are the best pick for macro fans and muck divers. Best known for its “atomic fleet” of sunken US Navy vessels, the Bikini Atoll is a seldom visited destination reserved for the advanced and adventurous. The nearby Majuro and Rongelap islands feature pristine reefs, healthy fish stocks, and plenty of big pelagics. Combined itineraries with a focus on wreck diving are the best value while visiting this once in a lifetime destination. With dozens of diveable wrecks in the region, advanced and technical divers are spoiled for choice. The most impressive and frequently dived site, the USS Saratoga is one of the world’s only sunken aircraft carriers found within recreational dive depths. The second largest wreck in the atoll, the Nagato, was once the most feared vessel in the Japanese Navy. This wreck is open only to tech divers. During dives around these remote atolls, you can expect thriving reef systems with nearly 200 coral species, and a variety of tropical fish. Dolphins, whales, sharks, and sea turtles frequent these sites, often coming quite close to groups. And, the best part of diving in this region is that you won’t see another liveaboard boat for days. Only a few thousand scuba divers visit these islands every year, and the region has only recently opened to the public. So, you should plan and pack for a very remote experience. 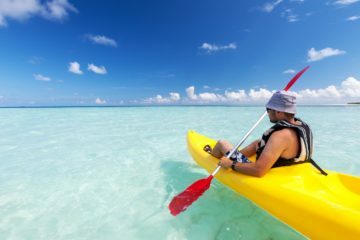 Getting to the Marshall Islands can be complicated as well, so be sure to plan for extra travel time and expenses. Liveaboard diving on Mexico’s wild Pacific coast isn’t for the faint of heart. These waters are home to powerful currents and open ocean conditions. For this reason, they are an incredible sanctuary for marine life, and one of the best places in the world to dive with sharks and rays. If you’re looking to take the plunge in this region, make sure that you are comfortable with fast-paced drift diving, cold water and big waves. Diving in Guadalupe is all about great whites. Dive operators bait or chum for caged encounters, encouraging the sharks to open wide for photos. Cageless encounters are also possible, so long as you’re trained and certified to participate. On the reef, Guadalupe offers excellent Pacific diving. Free swimming morays, reef sharks, and turtles make regular appearances. Socorro is better known for incredible open ocean encounters with sharks. Hammerheads gather in these waters by the hundreds, making for breathtaking photography and videography. You can expect to see whale sharks, dolphins, silky sharks, and manta rays, too. The dive sites around Socorro and Guadalupe are extremely remote, and only accessed via liveaboard. You can expect a long boat ride and rough conditions during the crossing. But, we promise the diving makes it all worthwhile. If this region isn’t at the top of your bucket list, it should be! For the ultimate wreck diving liveaboard experience, head to Chuuk. More than 40 diveable wrecks make this region one of the most sought-after destinations for WWII enthusiasts and tech divers. Best of all, the diving in Micronesia is incredible. Sharks, rays, turtles, and large schools of fish are common sights, even while wreck diving. Chuuk’s most popular shipwreck, the Fujikawa Maru, is a photographer’s favorite, with many penetration routes. Divers can access cabins, galleys, and the cargo hold. Like all the wrecks in Chuuk, she sunk during Operation Hailstone. This surprise attack on the Japanese claimed thousands of lives and left the lagoon littered with the remains of ships and planes. Skulls, gas masks, and personal items lie in place as a reminder of the South Pacific’s dark past. Technical divers will find all boats in Chuuk ready to accommodate their equipment and facilities needs. Rebreathers, gas blending, crazy depths, and winding penetration routes are all a part of the plan in this region. For the ultimate tech diving experience, check out the Truk Master’s two-week-long itinerary combining the best wrecks in Micronesia and the Marshall Islands. Chuuk itineraries combine with visits to Yap, Pohnpei, and Kosrae. These reefs are known for their abundance of wildlife and incredible diving conditions. Photographers should plan for a variety of shots, featuring everything from the mighty manta ray to the most minuscule of nudibranchs.